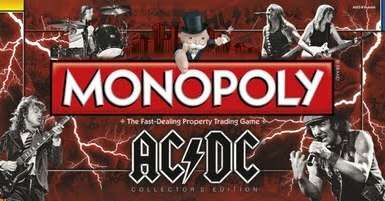 In what will perhaps be the most high voltage Monopoly spin-off, AC/DC has signed up to release a Collector’s Edition Monopoly game later this year. Players will be able to play as a cannon, bundle of dynamite, lightning bolt, etc., instead of the traditional dog, car or thimble. AC/DC and Milton Bradley despoil some warped rock utopia. Players will buy and sell AC/DC records and attempt to improve their properties with gold and platinum records. Extravagance, AC/DC style. While I think the whole novelty Monopoly shtick is a little old, the AC/DC version does not bother me. I think it’s pretty funny. I wonder if Bon Scott shouts “Jailbreak, I got to break out out of here” when you roll doubles and get out of prison. Damon Albarn is easily bored. 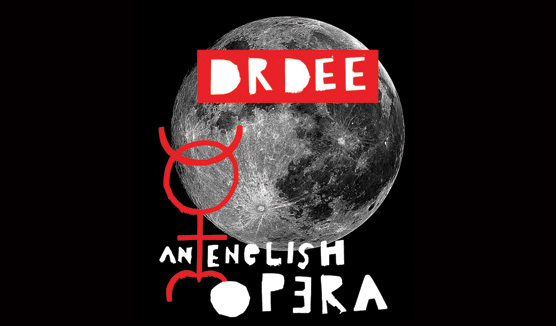 With Gorillaz on break, Albarn has decided to write and star in Dr Dee, an opera about 16th Century alchemist, astrologer and spy John Dee. “Dr Dee is set to run from July 1-9 at the Manchester International Festival. It will then be staged at the home of the English National Opera as part of London’s Cultural Olympiad program,” writes Consequence of Sound. Check out “Apple Carts” a song from the opera. It’s excellent. Albarn’s voice is tender and the acoustic guitar meshes perfectly with his accomplice’s medieval instruments. The intention was certainly to give off that medieval flare and the song does so with proficiency.